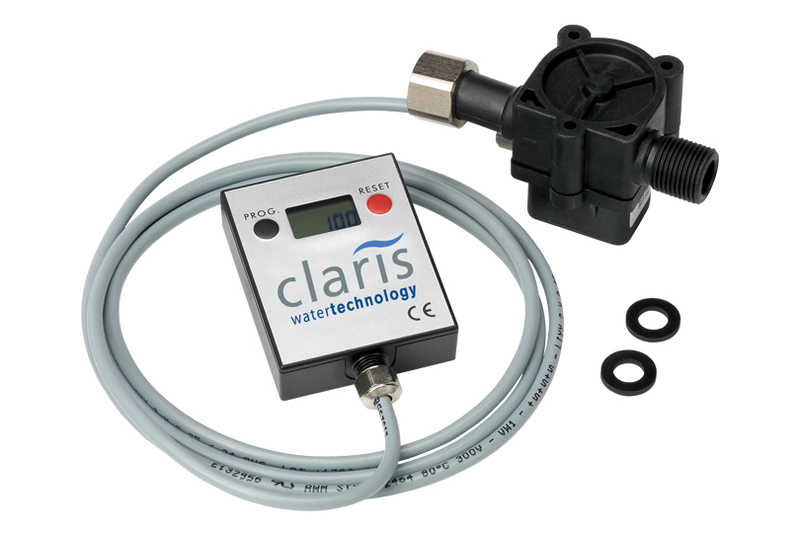 The Claris Flow Meter was developed specifically to monitor the usage rate of a Claris System, and to determine the optimum cartridge replacement interval. After setting the programming unit to monitor the specific filter size, the Claris Flow Meter continuously measures the filtrate volume to calculate and display the remaining filtration capacity in liters. Once the available filtration capacity is exhausted or the maximum operation time has been reached, the display unit indicates the filter cartridge replacement.